How can Overseas Pakistanis apply through government scheme and how the Passports will be shipped to and from Pakistan for Visa purpose. Can we form same group with our parents? Can a person living in Punjab make a group with those living in Sindh? Is an Infant aged one and a half years allowed to go with Parents? I started from calling the Ministry of Religious Affairs Office in Islamabad who were very helpful and Co-operative. They responded affirmatively to the above questions. They said that you have to come to Pakistan about 2 months in advance for the visa purpose; I said that I cannot have such a long leave from my company. “Once your Hajj application is approved, you can write an application to the Ministry requesting special handling of your application as per your constraints; hopefully they will resolve this issue”. Then to further refine my plan, I called Haji camp in Karachi and discussed my situation with the responsible person there. He was also very considerate and co-operative. “You apply for Hajj and once your application is approved, we will handle everything Insha-Allah” he said. Now, I was quite satisfied and confident and gave green signal to my father to go ahead with the application process explaining him the strategy. I kept on trying my luck through various different Channels. I applied for Hajj application through the online system practiced in Qatar; here I found out that only people living for 3 years or more here are eligible for application. So my wife’s application was automatically rejected due to this clause. Overseas Pakistan nationals usually go to Hajj via Hajj Quota given for Expats in few countries OR through Private scheme in Pakistan. In private Hajj scheme, they apply via private tour operators and send their passports with their acquaintances back home and then after visa stamping somebody coming back from Pakistan bring their passport back. 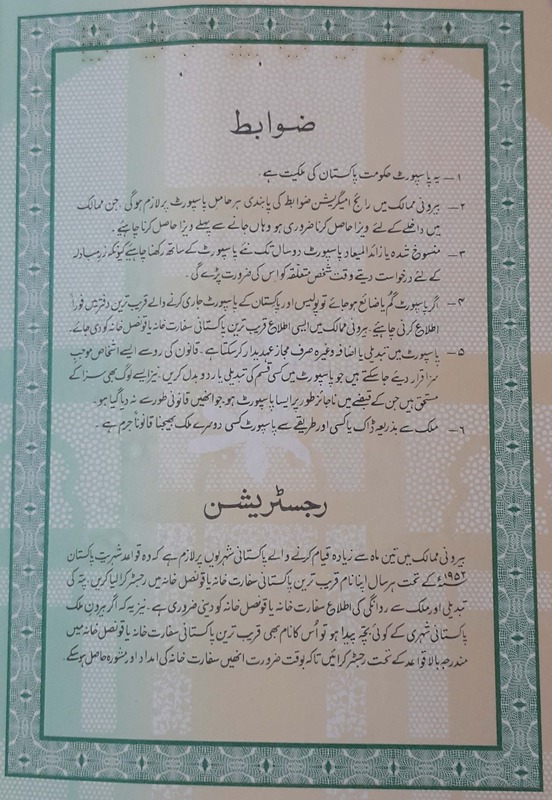 But worthy to mention, this is illegal practice as per rule #6 listed down at the last page of Pakistani Passports (see Image below). “Sending passport through mail or some other way is illegal as per Laws”. The second option via private scheme is to go back to Pakistan about 7-10 days ahead of Hajj flight and the resourceful Hajj Operator gets visa stamped within this time; this way is usually more expansive than normal channels. After considering my budget, level of risk/uncertainty involved and intend of not taking un-due favor from my colleagues and acquaintances; I dropped Private Hajj Option. Now I was relying upon my pending online application through Qatar ministry of Islamic Affairs. While I browsed my chances through this option I came to know that Qatar has only 1200 Nos. this year due to renovation of Haram out of which only 300 were available for non-Qataris like me. My chances were lean and wrapped up soon after. I reached Karachi at the end of August, 2015 where my uncle was Co-coordinating with his friend tour operator for any probable chance (on waiting List) which never came my way. One option was to get visit visa and perform Hajj without Official documents; I discarded this option as I was not ready to perform Hajj in this way. Reduced 8 family members went on to Hajj with majority of elders. Luckily one of my cousins Farrukh Shah went with this group and played a brilliant and memorable role (like an angel) especially for my mother who needed special attention on wheel chair. May Allah grant him all success and satisfaction in life and hereafter. I was continuously following website of Ministry of Religious affairs Pakistan over past year. The ministry shared useful information all the time and also kept people informed and educated though newspapers. The good intention and sincerity was very much visible. My family on Hajj was praising Pakistani delegates on such wonderful arrangements for the pilgrims. I would like to congratulate Government of Pakistan, Minister for Religious Affairs Sardar Muhammad Yousuf and all his team for their efforts. They are gaining confidence and respect every passing year and will remain in our prayers forever. However, the purpose of writing my struggle is very simple i.e. to let resourceful people know about unseen issues faced by overseas Pakistanis. Above events are just a summary, if I try to note down a detailed review; it would become a small booklet of problems I faced while trying to be a Hajj Companion with my parents. There is no proper procedure and policy for us and people have to spend more money and find un-conventional/risky procedures to perform Hajj. Government should consider devising an appropriate Hajj application structure for 6.5 Million (Approx) Overseas Pakistanis around the world. This can be easily done via Embassies. Such efforts will certainly go a long way; serving Millions of patriotic overseas brothers and sisters and earning priceless payers. 31st October, 2015…When Shahbaz Observed His Nation and … Questioned Himself! He is a hopeful Pakistani soul and follows each probable opportunity of change with enthusiasm and spirit. Shahbaz observed the local body elections held in areas of Punjab and Sindh on 31st October, 2015. He was present everywhere, from main cities to minor rural districts. He watched TV transmissions sitting in cozy sofa abroad with mixed feelings of optimism and concern. Dozens of Parties and Independent contenders were in the playing field to defeat their opponents. Notably just before elections, news of violations of code of conduct for the election campaigns were often reported causing no improvement whatsoever on foul play going on in the ground. “13 years old child casted his vote based on his political affiliation, you just need to have influential party’s Badge on chest and AGE does not matter after that”. “Media caught people Red-handed while purchasing votes with money in Larkana”. 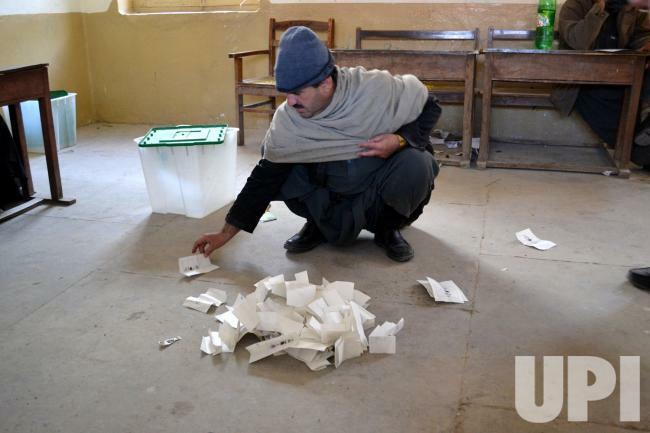 Extreme mismanagement was reported; few polling stations could not receive ballot boxes on time. At some places, the election symbols were printed wrong against the candidate’s name. Police was reported to give undue favor to certain parties by means of their influence and resources. Shahbaz saw many people getting messed up beating each other in different parts of the country. Uncontrolled fighting mobs were common scenery on 31st October, 2015. Now having mob in front, Silent Jinnah and Iqbal at sidelines, Shabaz’s mind was circulating like a wheel…Is this the same nation having one of the finest armed forces in the world which recently won the gold medal in Cambrian Petrol?? Is this the same nation which responds in natural calamities as brilliant as it could be…Is this the same nation who forgets everything while supporting Pakistani cricket match chanting Pakistan Zindabad crazily when Pakistan wins? Why such extremities? What is the missing point? Where is the fault line within us? Mob was in front of him, Silent Jinnah and Iqbal on the sidelines and mixed voices trying to remind him some Old forgotten lessons…Tears curving form his eyes seeing his nation in such a condition.